** If you haven’t read the previous entry – Stop Dipping Your Toe In The Water – then please do so before reading the following. Do you remember our friend Ted? Attractive young guy, athletic, unaware of his strengths and what he has to offer women? He was at a party where his current love interest – Beth – had just showed up. What if this were an alternative universe, where Ted no longer used his standard Toe-In-The-Water technique? 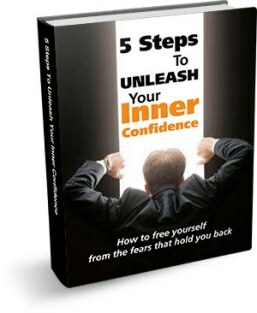 In fact, in this reality, Ted had picked up a copy of Confidence Unleashed and had activated a powerful, masculine part of himself that gave him a radical increase in his confidence. If he were going to “Cannonball” in this situation, what would he do? Before reading on, take a moment to close your eyes and image how Ted could approach Beth and what he could say to her. By imagining it in your own mind, it’ll actually start to lay the groundwork for you to activate your own boldness and masculine power. The moment Beth walked into the party, Ted couldn’t take his eyes off of her. She was wearing a long white shirt that exposed her smooth shoulders and tight blue jeans. She looked incredible. Ted walked directly across the party, looking at her the entire way. She noticed him coming when he was half way across the room and turned to look at him. (This is the first part of the Cannonball, when you’re running towards the pool). He walked right up to her and stopped several feet in front of her. He hadn’t taken his eyes off of hers from the moment they connected. “Uh, thank you,” replied Beth, blushing slightly and looking away for a moment. In this moment, the old Ted would have interpreted her looking away as a sign that he was too forward, too brash. But not this Ted. He’s learned quite a bit about non-verbal communication and women. 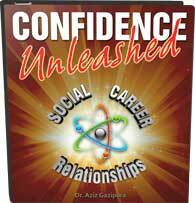 Thanks to Confidence Unleashed, he now realizes SHE can get nervous talking to HIM. “Hmm.” Beth grunts as she scrunches up her face in concentration. “You’re so cute when you’re confused,” Ted interjects. “Well, you know. I am sort of a genius,” she says with a playful smile. “Apparently so. Well done,” Ted continues to beam at her. “So…” Ted replies, mimicking her tone and facial expression in an exaggerated way. “Your surprise? Oh yes. Of course. How could I forget…” Ted says, stalling for time. “Yeah, what is it?” Beth says with a mixture of curiosity and excitement on her face. “Aww…” Beth replies with mock disappointment. At this point, Ted leaves the conversation. He smiles and walks away from her. That’s right, HE ends the interaction, even though she still wants to talk with him more. He reaches over and grabs her hand and gently pulls her towards the other side of the patio. As he says this, he gently grabs her shoulders and rocks her body back and forth, encouraging her to loosen her shoulders and back. Beth closes her eyes and tunes into her senses, curious and eager. Do you want to have this level of boldness? Do you want to be able to do exactly what Ted is doing? It’s not a natural born trait or some super power. It’s basic social confidence that you can learn through practice.